Please enjoy these photos of the latest residential project from Wilson-Covington Construction Company. This whole-house remodel included the kitchen, all bathrooms, all interior finishes, and extensive custom woodwork and cabinetry. The billiard room featured built-in bookcases and a coffered ceiling, along with chevron-pattern flooring. All custom cabinetry is by Wilson-Covington. The kitchen cabinets were provided and installed by The Cabinet Studio. 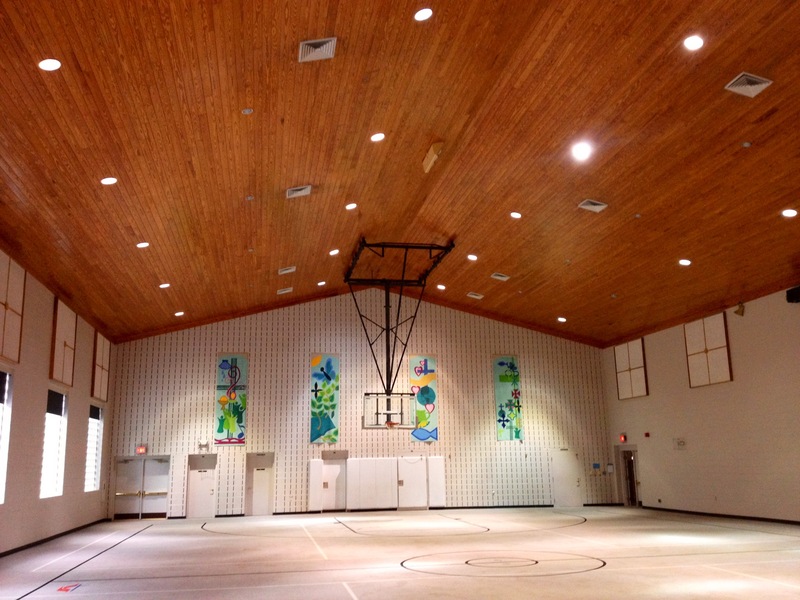 Wilson-Covington is currently completing repairs to the tongue-and-groove ceiling system in the gymnasium of Mt. Tabor United Methodist Church in Winston-Salem, NC. The firm is proud of this long-standing relationship which has included new construction, interior and exterior repairs, and service work.